ATOM BOMBS AND SIX-GUNS – BRAND NEW DOUBLE FEATURE THIS WEEK! Pull out your radiation gear and soap up your saddles for THE DARK VAULT OF PUBLIC DOMAIN this week! Join UNCLE PETE as he heads down to The Dark Vault Crypt deep beneath the Cinema Graveyard as we head out west for some atom smashin’, lead flyin’ action in a brand new double feature presentation. First up, from 19 61, it’s Beast Of Yucca Flats. 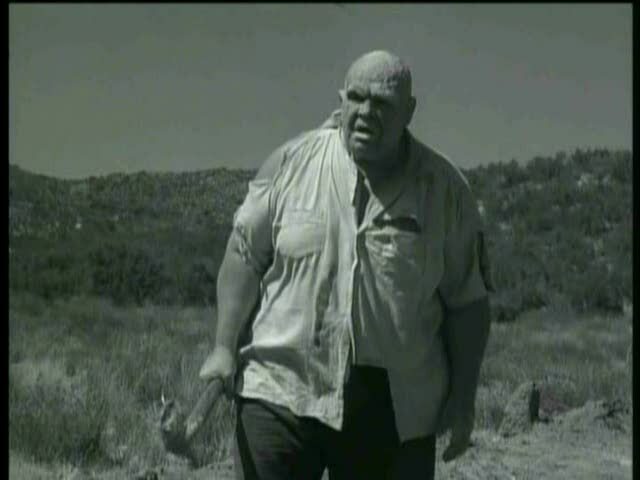 It stars well-known monster-type guy Tor Johnson as a Russian defector who wanders into the blast zone of an atomic bomb test, gets a little mutated, and, as mutated atomic monsters often do, croaks a few of the locals. Directed by Coleman Francis, this movie used the groundbreaking technique of being filmed entirely without a soundtrack. All sounds and dialog were added afterwards (notice how you never actually see anyone talking). Also starring Douglas Mellor, Barbara Francis and Bing Stafford, it’s Beast Of Yucca Flats. Our second feature takes us to the old west with a man who was not only and olympic swimmer, but who played Flash Gordon, Buck Rogers, Tarzan, and numerous B western heroes. 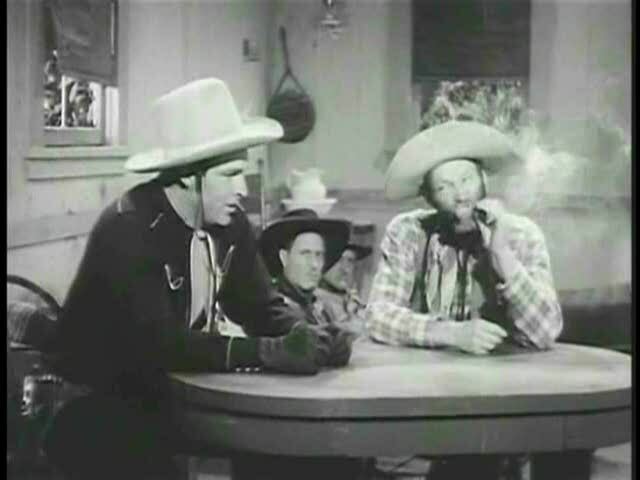 It’s Buster Crabbe along with his sidekick Al “Fuzzy” St. John in Fugitive Of The Plains. Buster once again reprises his role as Billy the Kid. There’s a gang doing crimes and pointing the finger square at him, so he and Fuzzy set out to clear their names. Directed by Sam Newfield, it also stars Maxine Leslie and features seasoned western side men Kermit Maynard (Ken’s brother) as Spence and George Cheesbro as Baxter. It’s the 1943 horse opera, Fugitive Of The Plains. 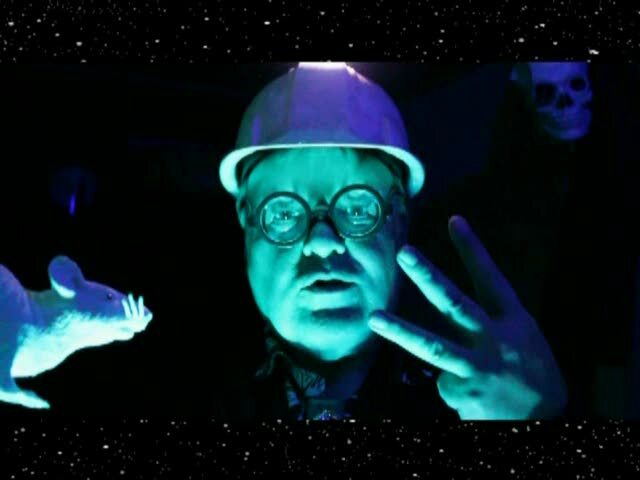 UNCLE PETE and Sammy have descended into the Dark Vault Crypt once again. With all the unexplored passages – some that appear to have been excavated from below – this always proves for an interesting stroll. So tune in this Saturday, March 23, 2013 on channel 4 from 10PM to midnight as UNCLE PETE brings you a brand new double feature: Beast Of Yucca Flats and Fugitive Of The Plains. It’s also UNCLE PETE’s birthday this Saturday! So light one up (a birthday candle, that is) and join us for the next DARK VAULT OF PUBLIC DOMAIN! ~ by UNCLE PETE on March 22, 2013.